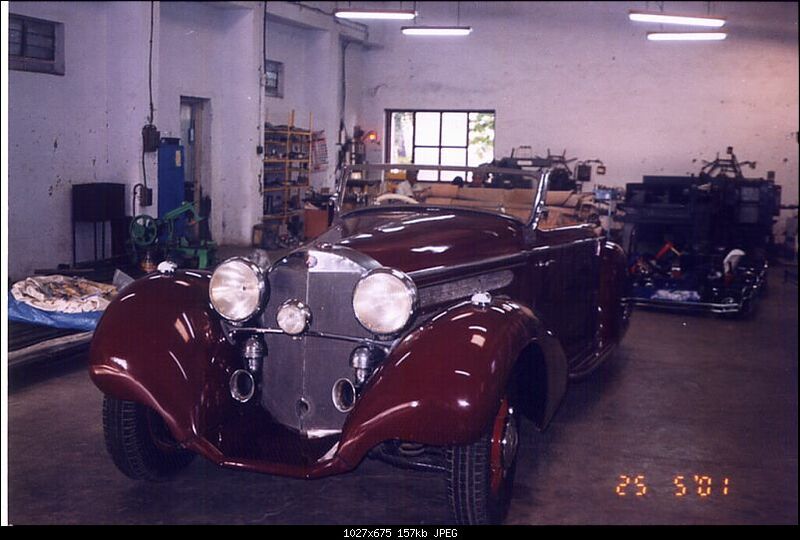 I believe for decades now it has been illegal to export any old Antique & Classic autos from India . 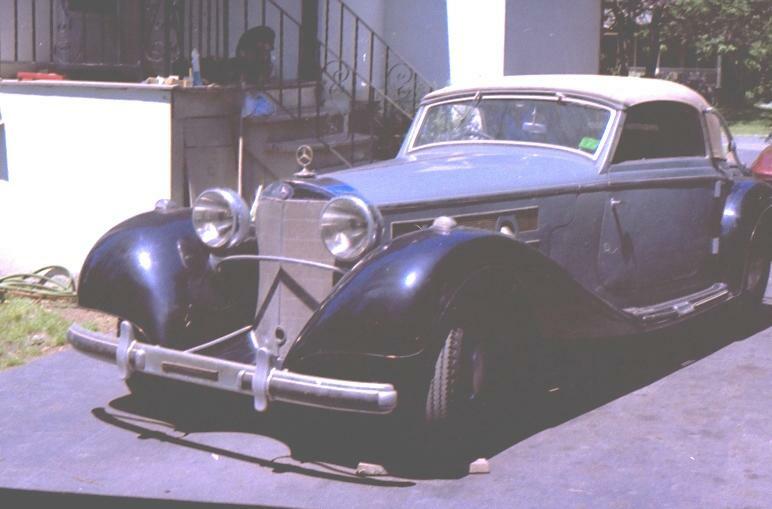 In the 50s-60s this was very common as the Maharaja cars, and others, were just sitting wasting away. I remember well many comming to the USA in this time period. 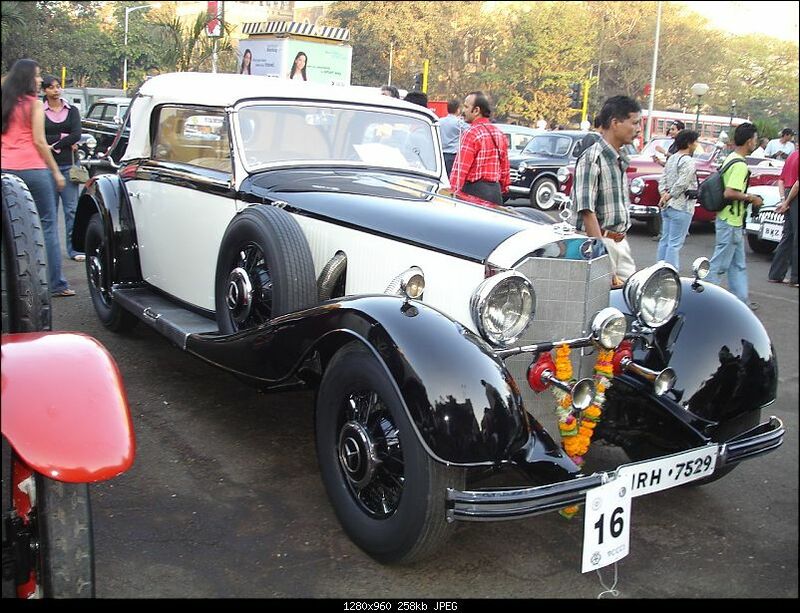 India now considers these cars to be national treasures and it has been highly illegal to export them. Some engines & parts have been known to slip out ! Still I have heard many a sad story of large groups of great Antiques & Classics still sitting and wasting away there. There are several cases where 100+ Maharaja cars are still sitting in these very sad conditions. Brad, You may be correct . I believe the picture below shows it after restoration and still in India. Also in India is this nice 500k Cabriolet C (note the lights and the left hand drive). Dave, is this the one that was outside of Detroit for many years? I can't answer that off the top of my head. I can ask Jan though. I think there were two in Detroit - Connie Bouchard and another guy whose name I can't recall. I talked to him and he was restoring a bus (!) 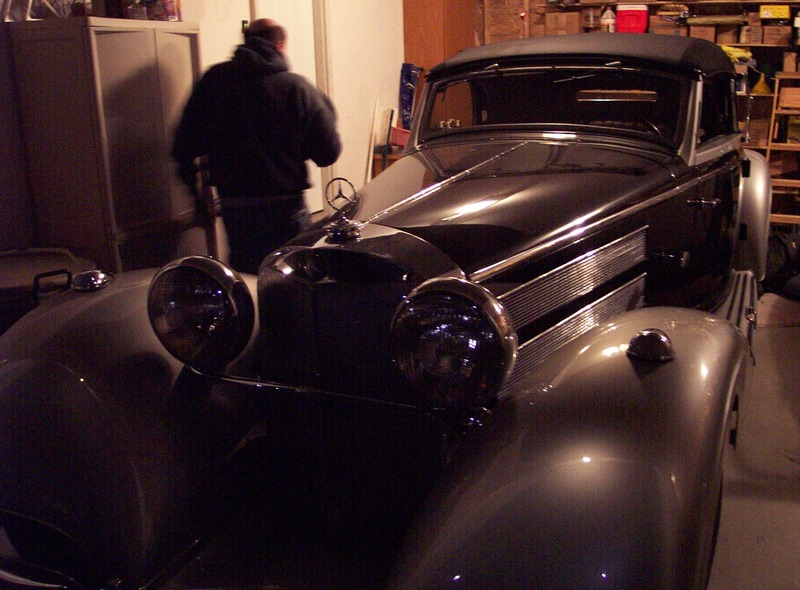 and the special coupe was locked away waiting to be restored. He was pretty excited about the bus. People will talk to me just because I know Jan and also show me cars that I wouldn't see otherwise, which is nice. I think the Bouchard car ended up with IP and I am not sure where it is now. A lot of their stuff went to Europe. Maybe Gen. Lyon has a coupe too, but I have lost track of which one - maybe dark red. I will go back through past years photos from Pebble when I have some time. 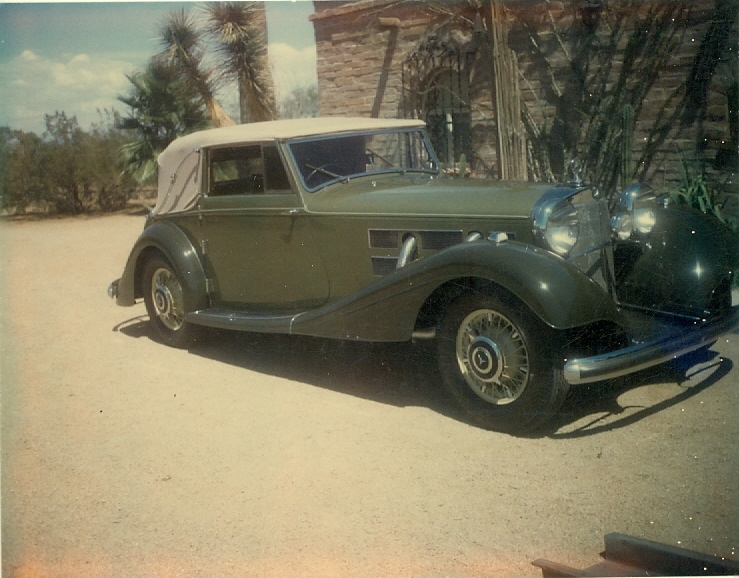 William Lyon owns the Bouchard car, which was dark red. 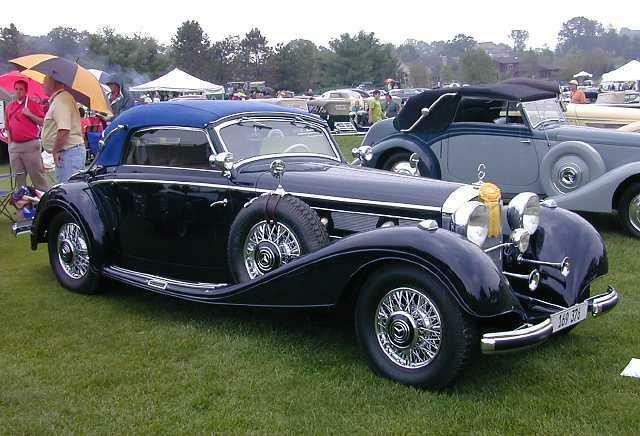 The other restored coupe is dark blue. I've never seen the third one, but have heard about it. 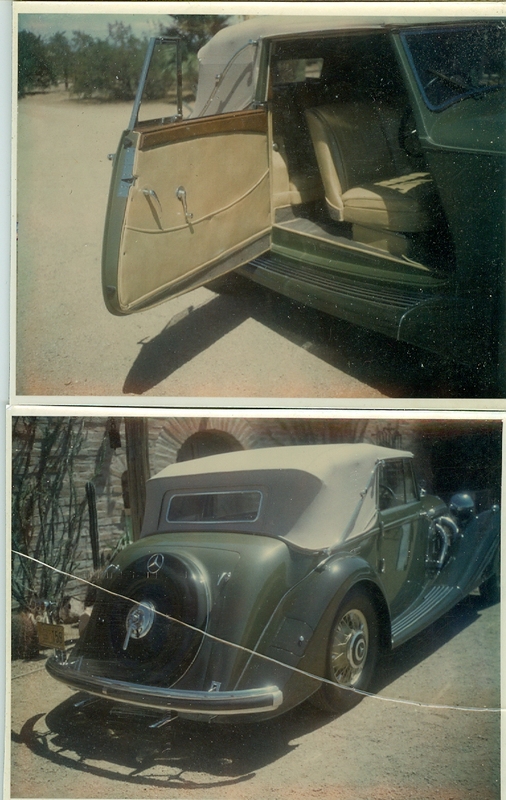 I think the third one is the car Rudolf Carraciola owned, with plaid seats and all. 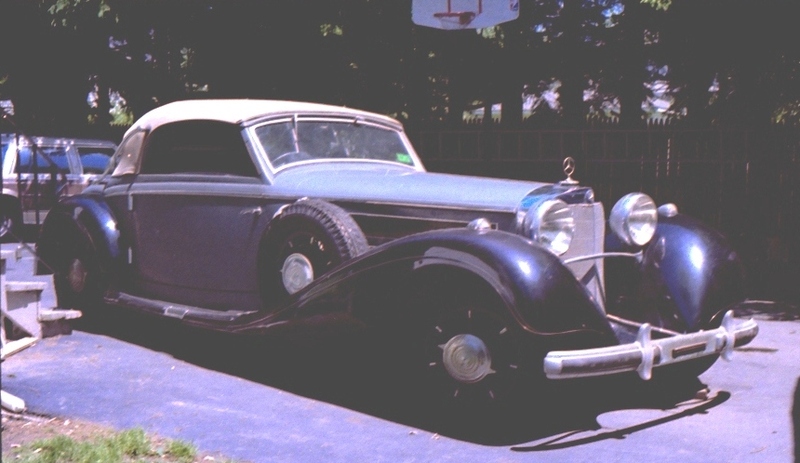 This body style was actually much more rare then Special Roadster which were produced in much greater numbers, close to 50 combined for 500k/540k. 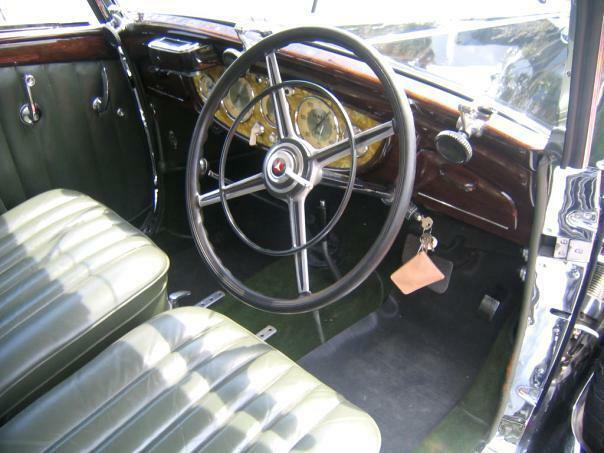 Here is the Offord & Sons bodied Conv Victoria which I have listed as a 1938 540k. These pictures were taken in the 1980s in Arizona. 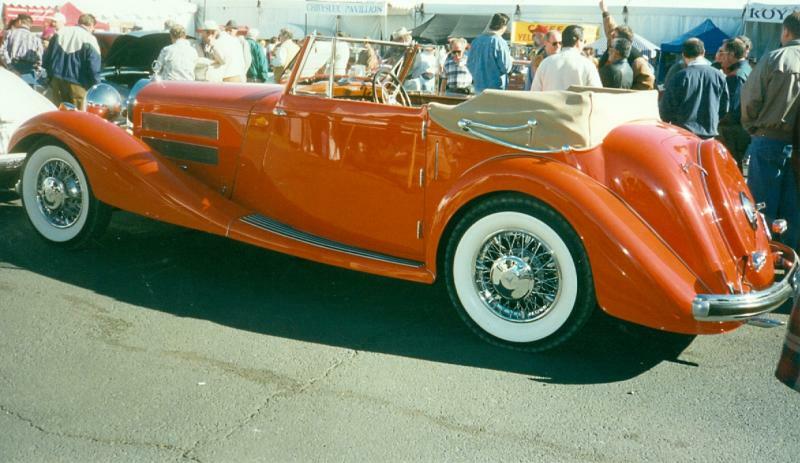 The car had been painted a very unflattering orange/red when it was sold at the 2001 Hershey auction. I'm unsure as to exactly what the body on this 540k is. 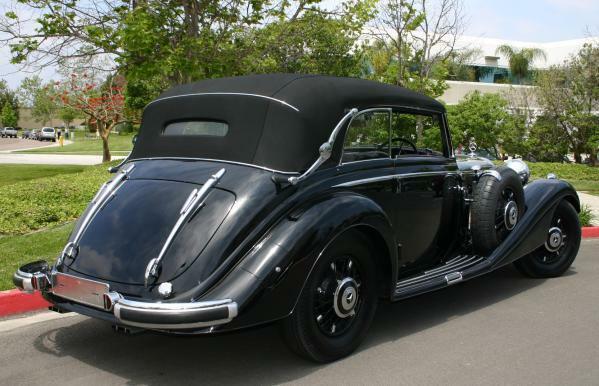 Perhaps a Cabriolet "C" which had it's top removed and replaced with a partial hardtop and canopy. This photo was taken sometime in the 1980s. This is a 320 long wheelbase Cabriolet "A". Note the triple wipers. Has an unusual hood screen treatment similar to the 540k. Photo taken in the 80s at an Arizona auction. Here is a 500k Carbriolet "A". I don't have Melin's book with me here but I think there were around 20 of these built. There were also 3-4 of these bodies built with 540k engine. I go back and forth between this and first series 540k Cabriolet A as to my favorite. In Vol 1 Jan lists 33 500K Cab As, and 83 540K Cab As, and a note in the 540 section lists 32 built of the first version. There were subtle changes even after that. I like them all a lot - they are each in the top end of their stying eras. The low windshield and long hood on the 500s is really something. I especially like them with leather tops, they look just that much sleeker with the top up. If you compare them with other cars of the same year, they are just stunning. I also like the 2 door offener tourenwagens shown on page 85 with the disappearing tops. The Caracciola car that I posted a photo above of is a 500K special coupe and didn't have plaid interior when new or when I last saw it, but maybe did somewhere inbetween. Maybe he had another one that you are thinking of. The rear treatment of this car is very nice - better in person than in photos. Here is a second series 540k. Pictured in 1965 with original paint and then in the early 90s after restoration. Originally purchased by a Mr. Van Wessem of Amsterdam. Delivered on Oct 9th 1937. Brought to the U.S.A in the 1950s, owned in NJ, then Massachusetts from 1965 to 1995, then Germany, Monaco, England and I'm not sure where it is now. Here it is in its auction colors. 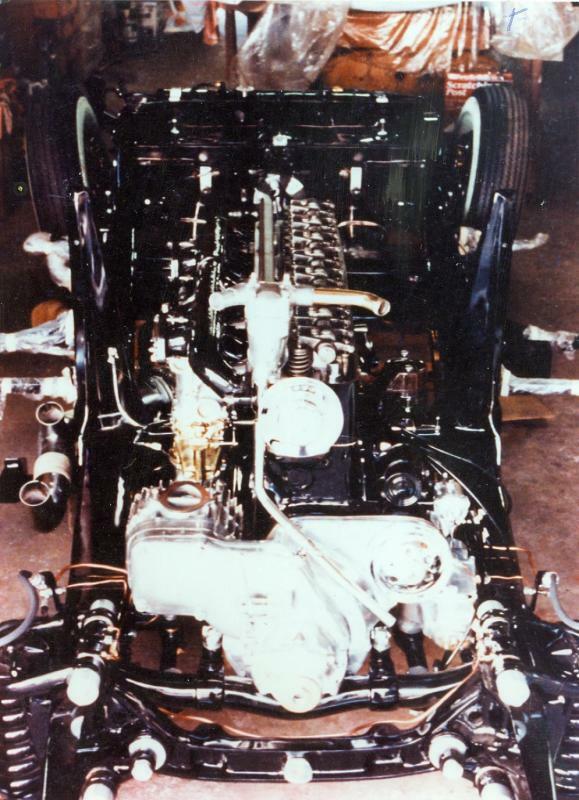 Besides the rear mounted spares on the 500k and the first series 540k the big styling difference is that the earlier cars had the optional "set back" radiator position which moved the engine bay backwards 5 or 6 inches. This results in the perspective that the hood is longer although it is the same length as the other body styles. 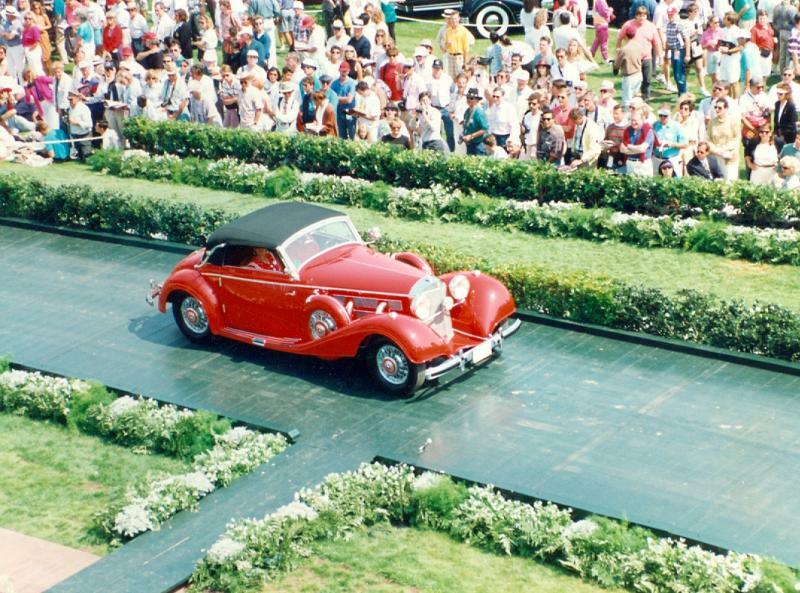 This setback was also employed on most but not all of the Special Roadsters. Here is before and after in almost the exact same spot. Pre Restoration is around 1982 and post restoration would be about 6 to 8 years later. These days this car would never never have been touched. A couple of chassis pictures of a 540k. The 500k is very similar. 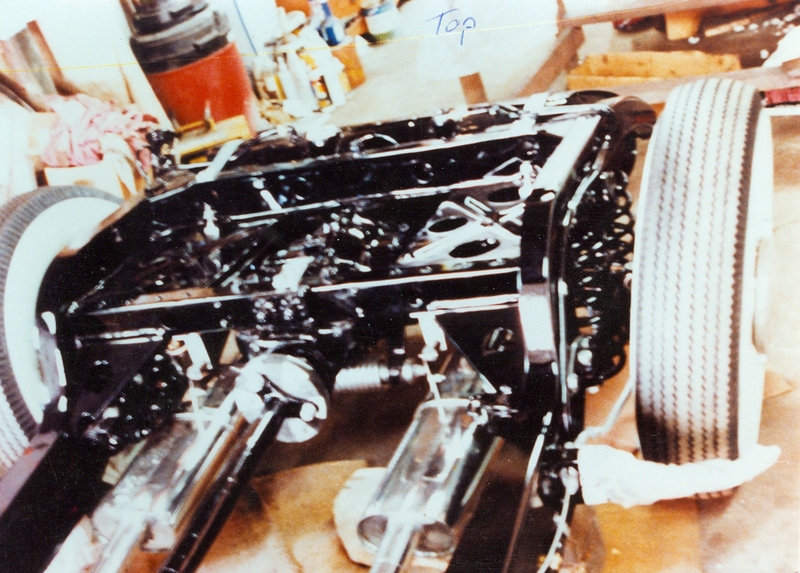 Note the double rear springs on the rear swing axle suspension. A first series 540k Cabriolet B. This car was on eBay a few years ago. 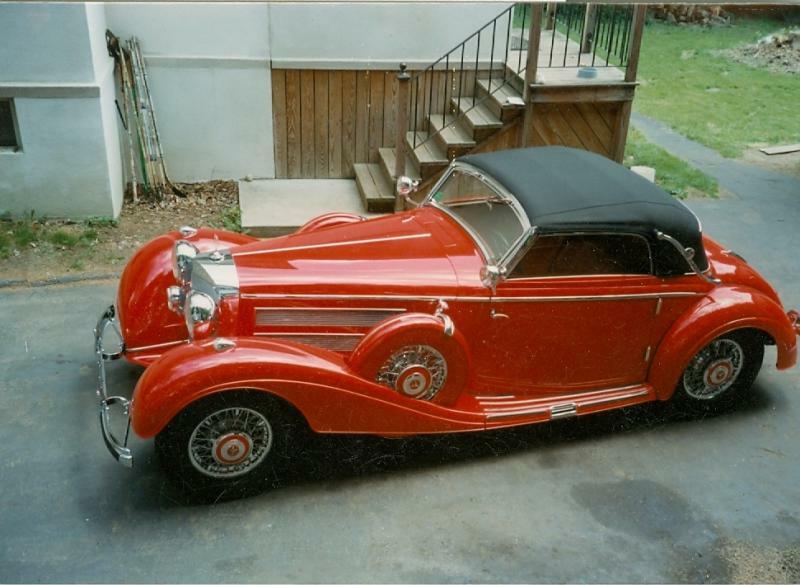 Very very nice mostly original car with right hand drive. I'm not sure what happened to it. 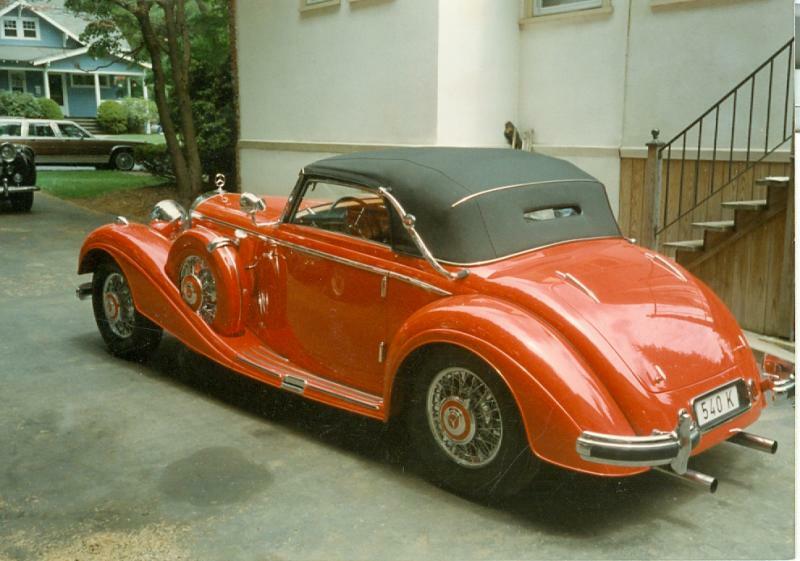 This is an ultra rare 320n Combination Coupe. There are only 2 known to my knowledge plus a few more of the Cabriolet A model floating around. The hardtop is removable and there is a conventional soft top. The Cabriolet A has the fully padded double top with irons. This car is for sale btw. 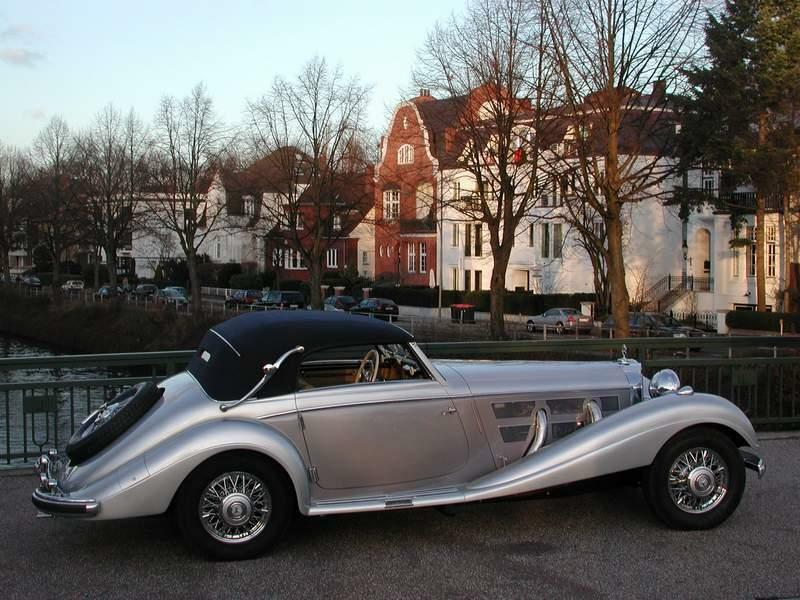 This second series 540k Cabriolet A was for sale for 500k in 2000 as a very old restoration. Presentable but needing a lot of work. The first picture is from around 2003. 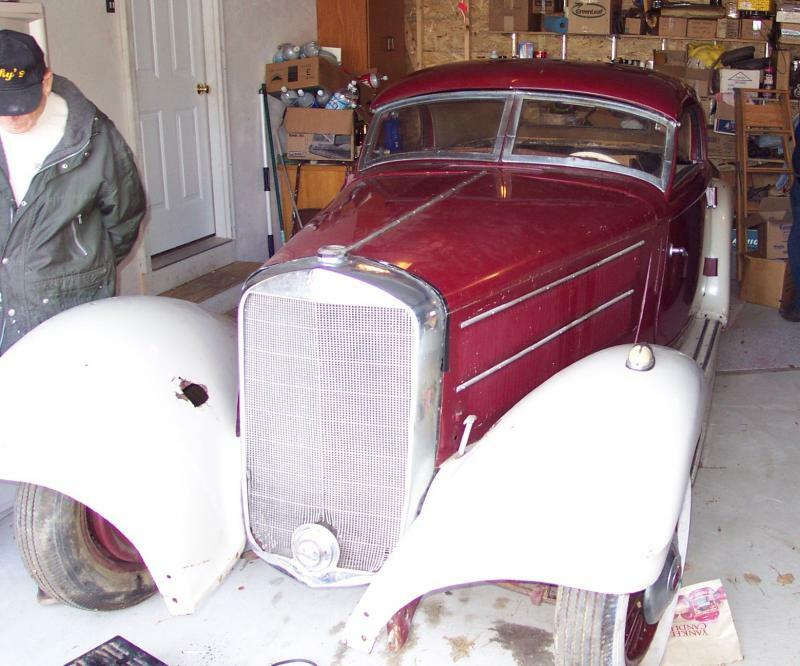 It sold at auction a couple of different times and then had a very (very) high dollar restoration shown in the other picture. You can see the interior in this factory shot and it does not look plaid. 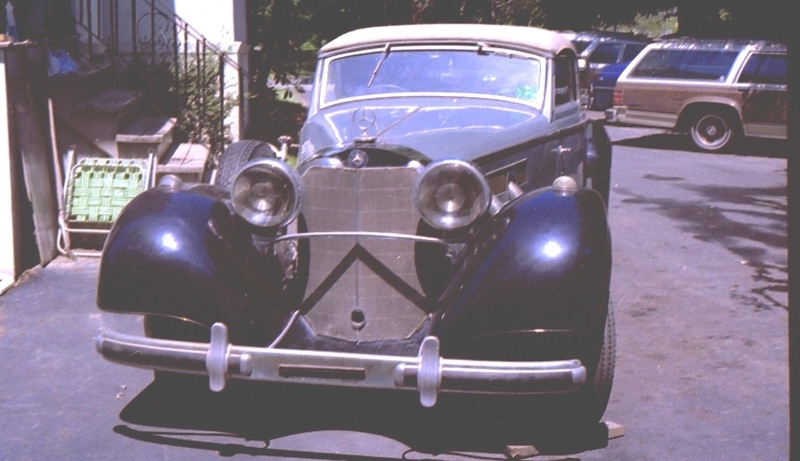 This car carries a subtle version of special roadster wings (fenders). Here is a 36 500k second series special roadster. The first series 540k and second series 500k are indistinguishable. The famous hidden Butcher's car comes to mind . 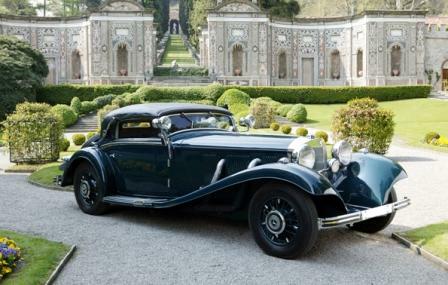 To me it has one of the most artistic flowing body designs to come from Mercedes of all time ! A true German work of art . Was not much of the steel rusted thin in spots~~~So much so that it qute a bit had to be re-created ? There was also a copy of this body re-created in the 90s~~~ I have a body panel beating & forming book written by one of the guys who re-created this copy. There are several great photos of the finished , and yet to be painted body in this book ! Does anyone know where this copy went ? 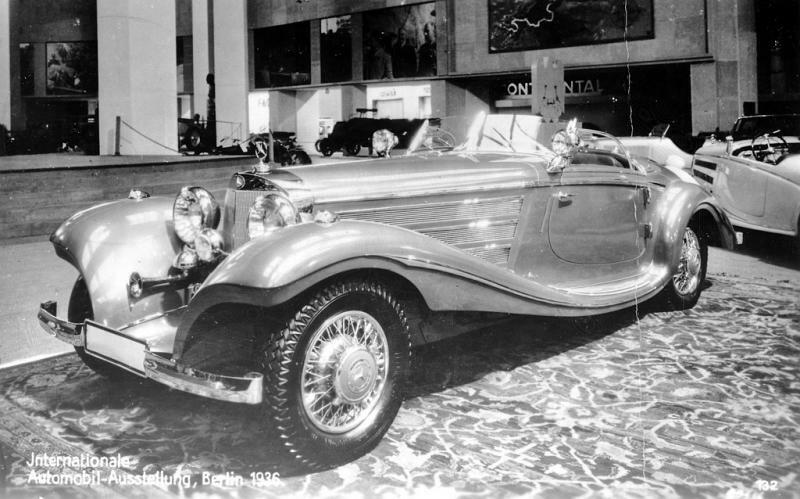 Supposedly a member of the Krupp family also owned a similar roadster when new ? 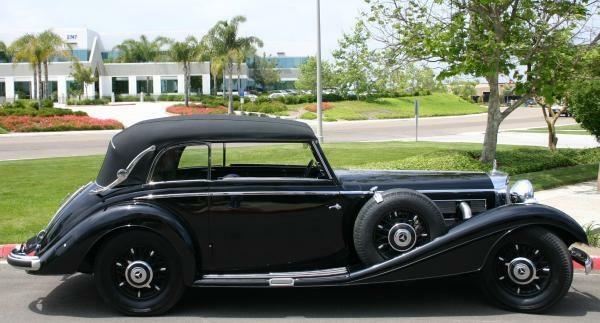 Lets not forget some of the great deigns built for the German high government officials in the 30s ! 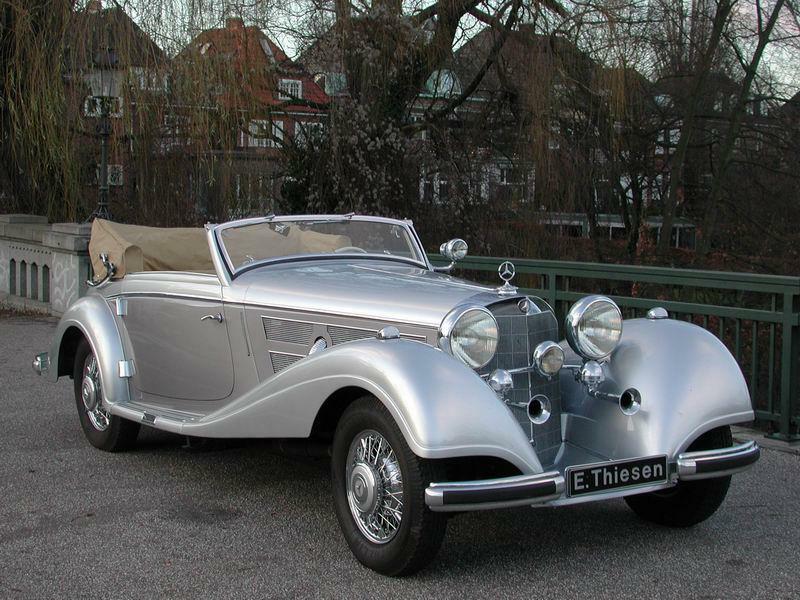 Despite their past checkered Nazi ownership history you still must say that they are great auto designs ! The special roadster is on my top ten wish list ! 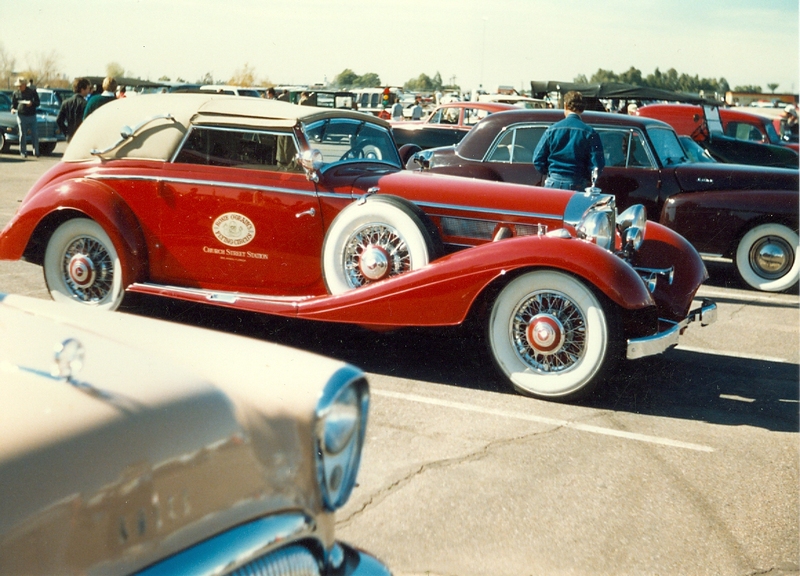 Brad, There have been more than a few exact replica special roadsters built. The real ones are well known. Prices for those seem to be over 6 million now. 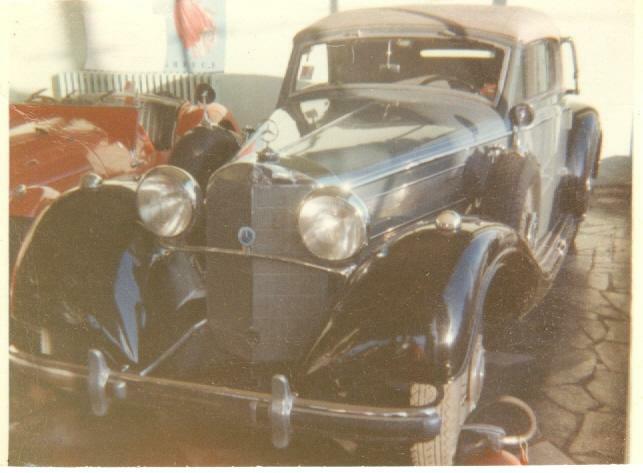 I will post some pictures of the Krupp car and the butchers car. 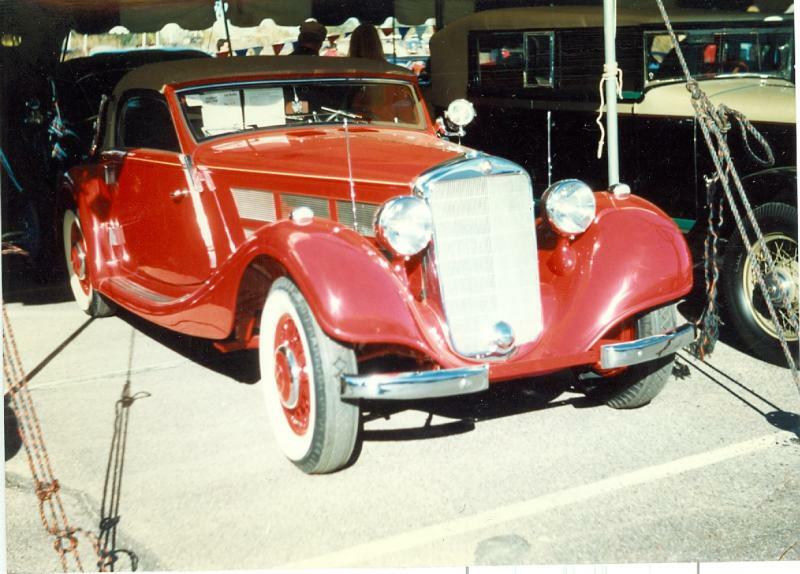 AJ, great photo of the special roadster at the 36 auto show. I think Jan told me that it was silver grey.